It occurs to me that I have shown the start of my free piecing attempts without mentioning at all where I think I am heading: here goes. 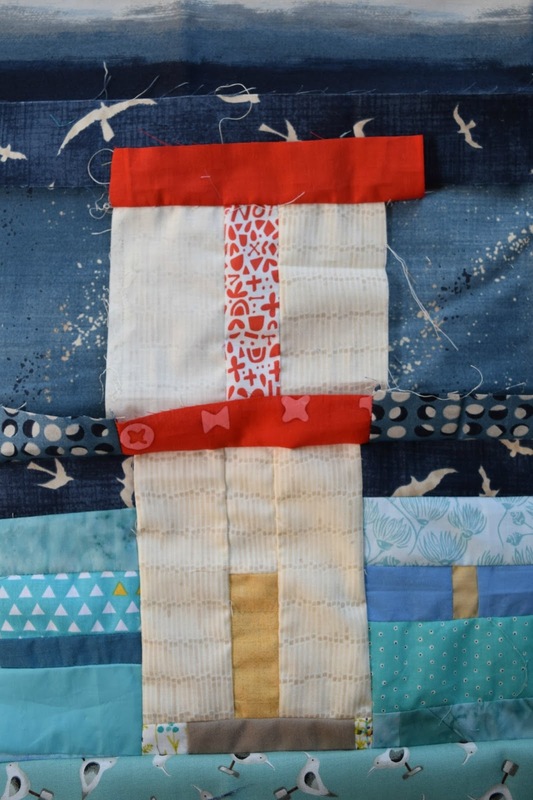 I love Julie's quilt, and can see that the barns strike a particular chord for those of you in the US, but of course barns here in the UK are not the same iconic structures, so I thought I'd play around with some other ideas. I had loads but rejected some as not offering enough natural variation, some as probably being waaay beyond my skill level. Anyhow, to cut a long story short, as I was wandering the internet I came up on this and the spark of an idea presented itself. I love the sea so lighthouses seemed an interesting possibility. Add to that my fondness, on sleepless nights, for Radio 4's shipping forecast (skip the first couple of minutes of music if you want) and the idea grew. Since last posting I have given in, just a wee bit, to my preference for small and trimmed my pieces down. The blue strips were bothering me most, so they got chopped into chunks. I haven't taken much off the building bits: just enough for me to feel more comfortable with them, and I'm glad I did as things seem to be flowing better as a result. Here are the bottom two bits underway. Inspired idea Kaja!! I hadn't spotted the lighthouse connection at first, brilliant. Seems like you have the perfect fabrics -especially the one with the seagulls, this is going to be interesting watching your posts. I definitely see the lighthouses, and your fabric choices for the background are wonderful. Love those seagulls! Those bird fabrics go so well with a lighthouse theme. Great way to make the project your own. That's a good theme and I like what you're doing with it, I'll be back to see more, thanks for sharing. Taking the time to allow your piece to speak is hard. You are right about the differences in how we value structures between continents. It was an interesting chord to strike, and I'm glad you're making it into something more meaningful for you. I had an A-Ha moment as soon as read lighthouses! 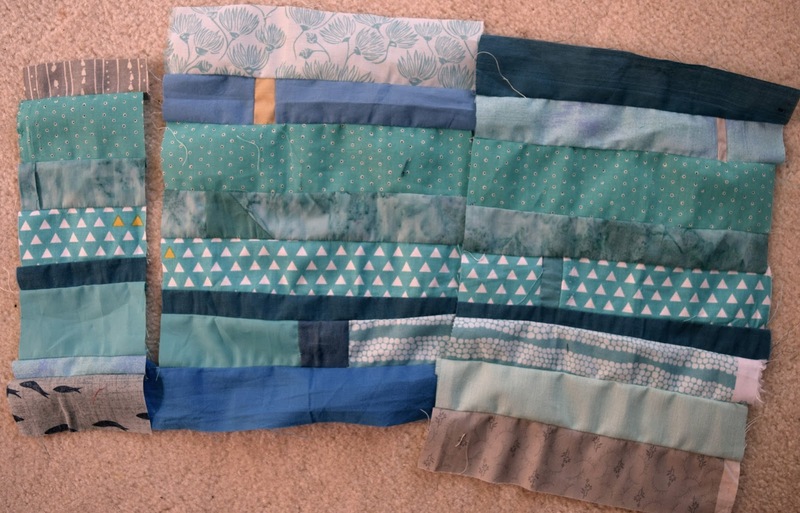 With your fabric pull, it will be a beautiful quilt! What a great idea! There are some super ones in the Uk too. St Marys at Blythe I think it is, Northumberland. This is a really exciting direction to take your free piecing Kaja! The fabrics you have chosen truly evoke the whole feeling of being by the seashore. I can practically hear those whirling seagulls calling into the wind. Skip the music? How very dare you!!!! 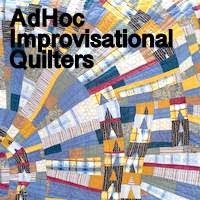 I LOVE the music and now I can't get it out of my head and the title of this quilt will now forever be in my mind as Sailing By, hahahaha! It's going to be interesting to see you work with something 'representational' - I don't think you've done that before, well not recently (unless you count the teapots, which I don't...I don't know what I'm on about either, I'll shut up now! ).